Albania: Blessings as We Arrive and Begin Our Adventure! Praise God! We arrived safely in Tirana with all of our luggage and ministry materials! Thanks to Sherry's numbering of each suitcase before we left, we made sure that everything arrived! We were met by some of the Albanian Cru staff who welcomed us to Albania and helped transport us and our luggage to the hotel. 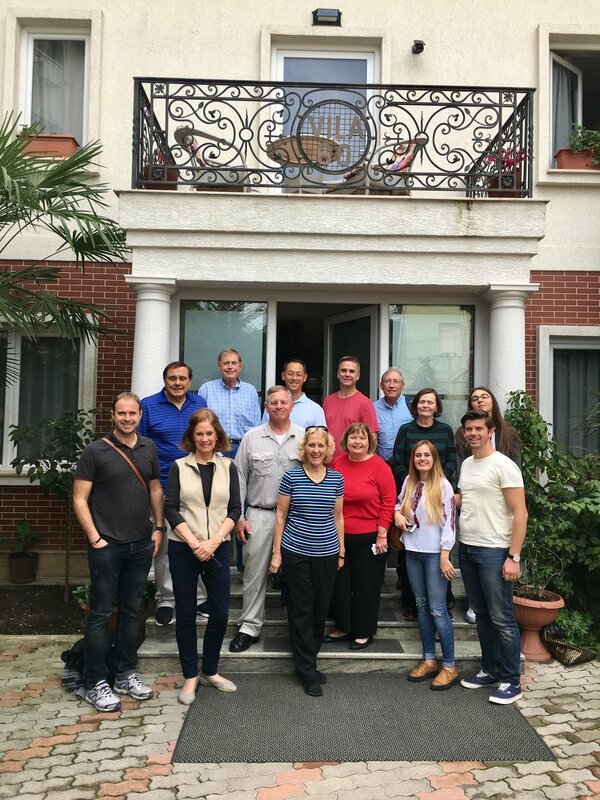 Later in the afternoon, we had an Orientation that allowed us to renew friendships with the Tirana Cru staff members and to meet those who are new to their team. We were given an overview of the plans for the week and are excited to begin the work God that has for us to do here. Some of us attended church on Saturday evening and had an opportunity to fellowship with some Cru staff members following the service. Others attended a worship service on Sunday morning and enjoyed having lunch with some university students afterwards. Throughout the day on Monday, we will be meeting with university students we have met previously along with those who attended the English Camps last summer. Pray for opportunities to encourage new believers and openings to share the gospel with those who haven't made that decision yet. Newer PostAlbania: Discipling, Encouraging, and Sharing Christ! Older PostAlbania: Albania, Here We Come!